These Brother standard address labels are ideal for making sure your addresses are crystal clear when sending out invoices, statements or newsletters. 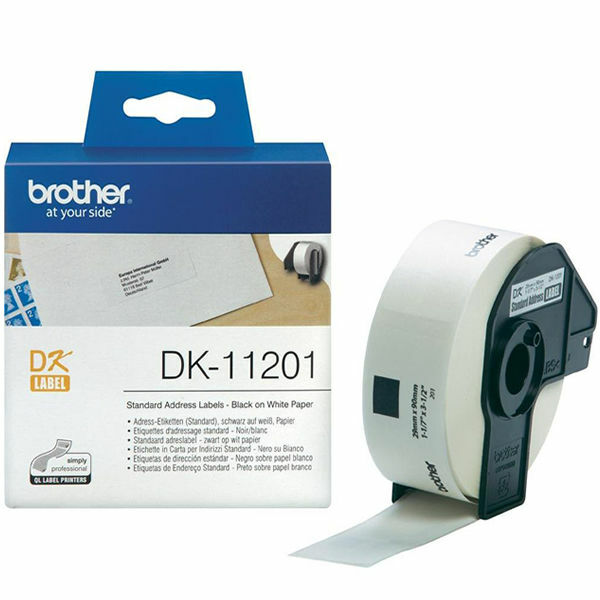 Brother white standard address labels are suitable for use with the Brother QL-500 and QL-550 label printers, these standard address labels from Brother have an extra strong adhesive to avoid them address label coming away from the envelope in transit. A roll of brother address labels contains 400 individual labels. These white standard address labels from Brother are a must have for any business. The Post Office Shop is a one-stop destination for a broad selection of thousands of products from many well known brands for the home and office so you can be sure to find everything you need. Why not? View our full range of Labelling products from Label printers to document enclosure labels.